Pro-ject celebrated their 25th anniversary by introducing a ‘table that combines the best of past and present. Pro-ject celebrated their 25th anniversary by introducing a ‘table that combines the best of past and present. The well-named Classic features a solid wood chassis that harkens back to vintage designs from the ‘60s and ‘70s. The modern technology inside reflects Pro-ject's quarter century of intelligent turntable design. This 'table's beautiful looks will enhance any room, as it delivers the special music mojo that makes us cherish records from any era. 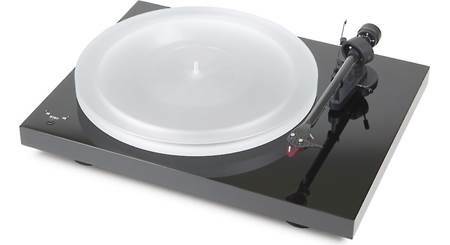 For this 25th-anniversary offering, Pro-Ject uses a finely balanced, heavy aluminum platter with a sandwiched layer of Thermoplastic Elastomer (TPE) around its perimeter — it's a proven method for reducing the resonance that lesser platters can produce. 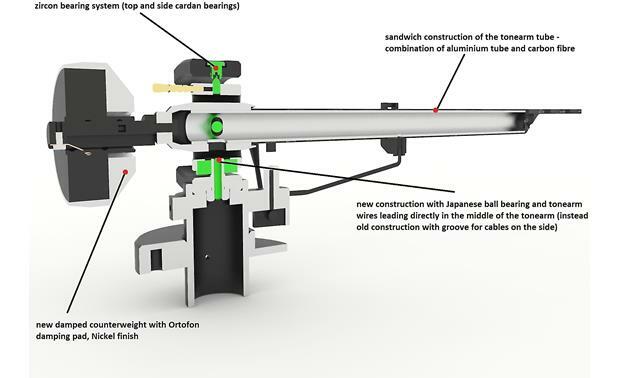 Six TPE balls isolate the wooden chassis from the floating sub-chassis, which helps isolate the platter and tonearm from vibrations of the motor. The new carbon fiber-clad aluminum tonearm is pre-fitted with an Ortofon 2M Silver cartridge, which uses silver spools in the cartridge body to provide a more precise sound. Music will sound deeper, richer, and more dynamic than ever. 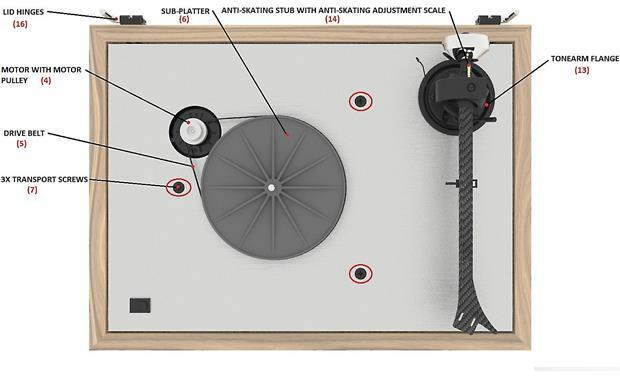 Pro-Ject knows that turntable setup can be a challenge for the novice. That's why this 'table comes out of the box virtually ready to play. Its factory-mounted tonearm and cartridge take the guesswork out of getting started, so you can enjoy optimized sound quality with minimal effort. A few minutes to dial in key settings like tracking force, anti-skating, and platter speed are all that's needed to experience musical revelations waiting for you on your favorite records. Awesome product and service to match. Our vinyl records have never sounded better. 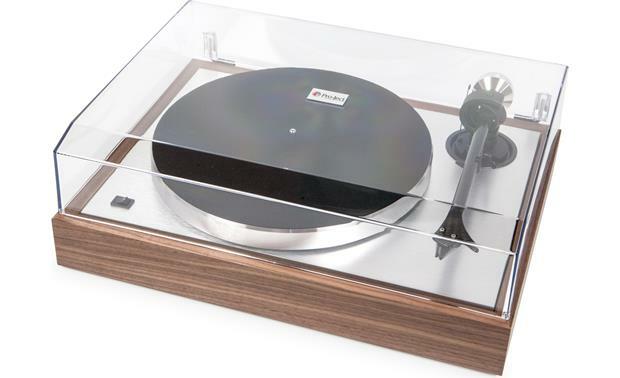 Belt Drive with Electronic Speed Control: The Pro-Ject Classic turntable utilizes a belt drive system with electronic speed control (33/45 rpm). 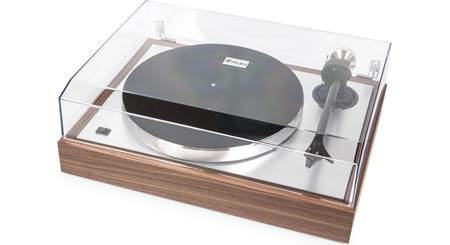 TPE Chassis & Platter: The Pro-Ject Classis features a Metal/MDF sandwich chassis floating on TPE suspension. 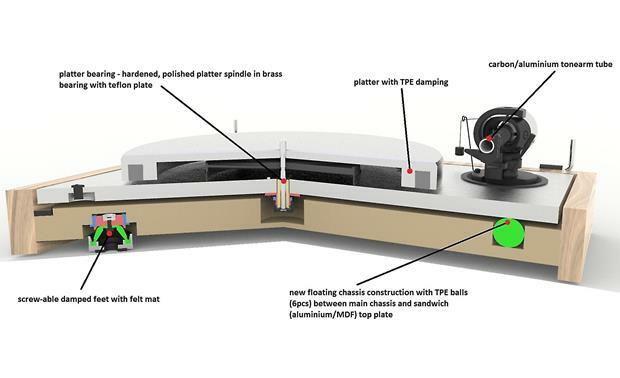 It also features a precision balanced TPE-damped aluminum platter and felt mat. Carbon/Aluminum Tone-arm: The Classic features a 9" one-piece carbon/aluminum tone-arm. The conical-shaped carbon/aluminum arm-tube avoids standing wave reflections. The tone-arm features a Japanese ball bearing base with an integrated central vertical cable outlet for unhindered arm movement. A TPE damped counterweight is also included. MM-Cartridge: The turntable is supplied with a Ortofon 2M Silver MM-cartridge. If your amplifier does not have a suitable Phono MM input, you will need a separate phono pre-amplifier (sold separately) to connect the turntable to your amplifier. RCA Connection with Grounding Screw: Connection to the phono input of your amplifier can be made with connecting cables of your choice through the turntable's gold-plated stereo RCA phono jacks and grounding screw. 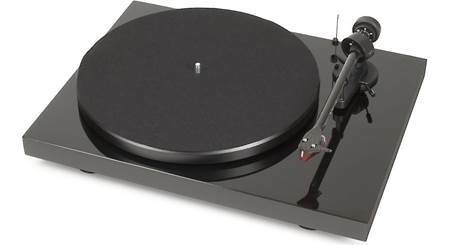 The Pro-Ject turntable comes supplied with a 4' stereo RCA cable with ground wire. 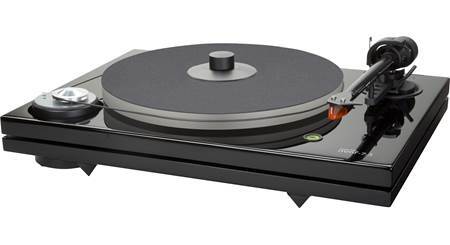 Adjustable Decoupling Feet: The turntable features height adjustable decoupling feet for greater stability. The feet must be installed during setup. Dust Cover: The Pro-Ject Classic comes supplied with a dust cover to prevent dust build-up on the turntable. Colors: Available in Walnut, Rosewood, and Eucalyptus finishes. How difficult is it to replace cartridge? Condering upgrading to Denon or Sumiko Blue Point 2, thoughts? I recommend a professional do the replacement. If not familiar with doing it, lots to consider. 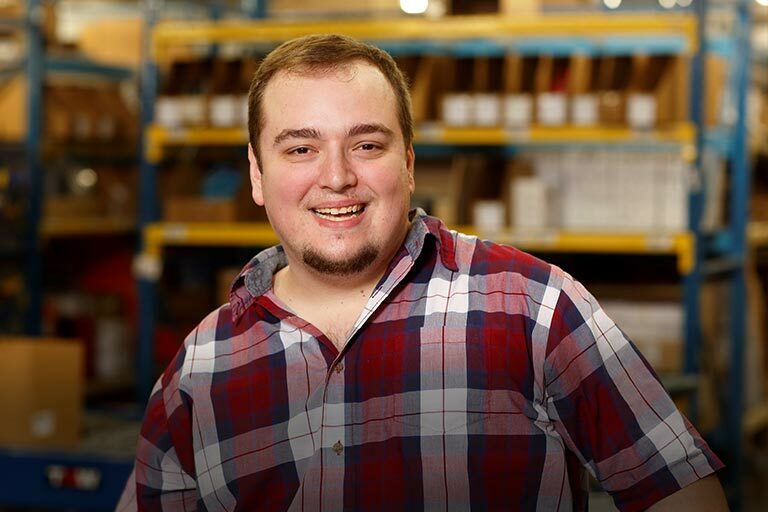 Cartridge weight, balancing, alignment, etc. Also consider upgrading the interconnect cables, you will notice a huge difference from the supplied one. I have a Hana and really good Cardas cables, sounds amazing. I figured equal cost to the TT, equals lifetime of enjoyment, and still cheaper than the high-price TT's with factory supplied components. No different than any other turntable, but just make sure you use proper counter weight as there are two called out for this turntable. You can go to project web site to get an idea of what cartridges are avail and which weight is recommended etc... i have the superpack version of this turtable and it came with the blue point number 2, great cartridge. Searches related to the Pro-Ject The Classic Manual belt-drive turntable with pre-mounted cartridge.